Sleep apnea is a frustrating condition that can affect your overall health and leave you feeling tired. While CPAP machines are commonly used to treat sleep apnea, patients often find them to be uncomfortable. Oral appliance therapy is an effective alternative treatment that allows patients to correct obstructive sleep apnea in a way that is both comfortable and convenient. If you have intolerance to CPAP, contact Perfect Smile Maker. We can help you treat sleep apnea and improve the overall quality of your life. By repositioning the lower jaw, tongue, soft palate and uvula with an oral appliance, you can treat sleep apnea without a loud, uncomfortable and intrusive CPAP machine. Call 516-482-2215 to schedule an appointment to discuss your options and finally find relief. This entry was posted in Alternative Sleep Apnea treatments and tagged CPAP Alternative, Great Neck Dentist, Long Island Dentist, Nassau County Dentist, Oral Appliance Therapy, Oral Appliance Therapy Benefits, Perfect Smile Maker, Sleep Apnea, Stewart C. Brody on April 30, 2014 by admin. Does your spouse snore loudly at night? Do you? It could be more than just an annoyance. About half of people who snore loudly suffer from obstructive sleep apnea, a condition that occurs when breathing is partially obstructed during sleep. Decreased productivity and performance at work. Increased risk of heart attack, stroke, diabetes, and depression. Although CPAP is a common treatment, it can be uncomfortable. At Perfect Smile Maker, we work with patients to find a comfortable treatment solution. 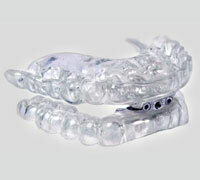 Oral appliance therapy is a viable alternative to CPAP and many patients have found treatment to be successful. Similar to a mouth guard, oral appliances are custom fit to your unique smile. This means that they are comfortable, convenient and portable. If you think that you or a loved one is suffering from sleep apnea, contact Perfect Smile Maker by calling 516-482-2215. We look forward to helping you improve your health and treating sleep apnea in a way that is comfortable and convenient for you. This entry was posted in Uncategorized and tagged CPAP Alternative, Great Neck Dentist, Long Island Dentist, Nassau County Dentist, Oral Appliance Therapy, Perfect Smile Maker, Sleep Apnea, Stewart C. Brody on March 18, 2014 by admin. Until recently, people who suffered from snoring, a symptom of a serious condition known as Obstructive Sleep Apnea (OSA), were able to solve most sleep apnea related problems through the use of Continuous Positive Airway Pressure (CPAP) devices. Although effective, these expensive, bulky and uncomfortable devices, solved one problem with another. Users of CPAP devices no longer suffered from sleep apnea, instead they were couldn’t sleep for other reasons. For many, sleeping comfortably entails some degree of movement, which CPAP devices inhibit. For years, Respire Medical has worked hard to develop an FDA approved device for treating sleep apnea, meaning that it is not only safe but also effective. Their Mandibular Advancing Devices, seen below, works by simply repositioning the jaw to allow for better airflow. They are among the least obtrusive, smallest and most affordable on the market, and can solve your snoring and Sleep Apnea problems. Dr. Brody, a member of the American Academy of Dental Sleep Medicine has been installing this device and devices like it for years. Have any questions or want to setup a consultation appointment with Dr. Brody? Call us 516-482-2215, email us info@ihatecpaps.com visit us at our great neck location or post a comment, and we’ll get back to you as soon as we can. This entry was posted in Alternative Sleep Apnea treatments, CPAP, Dental Appliance Theropy on July 25, 2013 by admin.